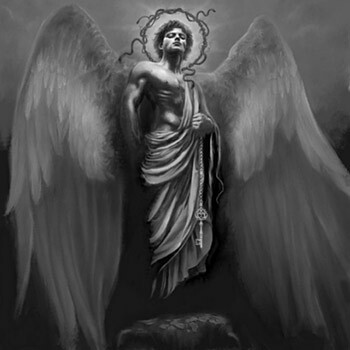 The name Lucifer is a very disputed topic among scholars and laymen alike, only mentioned once in the King James and Geneva bible, some believe Lucifer, Satan and the Devil are separate spirit beings, I personally prefer to call him Satan, to me they are the same fallen entity. The real question we should be asking is what's the name his followers prefer to call him? The answer is overwhelming Lucifer, this includes the upper levels of all governments, the world financial system and world religions. Hence, the name of this website is the Illuminati Mark of the Luciferian Empire. Core Luciferians follow the belief that Lucifer and Jesus are one, the morning star, Lucifer (Phosp-Horus = Lucifer) the Light-Bringer, the phosphorus in human DNA that gives consciousness and spiritual energy to mankind, as above, so below, as within, so without, Lucifer being above, phosphorus being below. Hence, humans are stardust drawing light from Lucifer and his age of enlightenment which is salvation through knowledge, the foundation of Gnostisim, the core of Freemasonry within the global power structure of today.